Well guys it is WrestleMania season again and everyone, including myself, is excited for this year’s extravaganza. This will be my first Live WrestleMania and the fact that it is in the New York/New Jersey metro area, sparks this feeling of anticipation for a magnificent weekend of meets and greets. It’s funny how not once have I mention the matches that are already booked for this nights show, the main reason is because the two huge main events are all rematches, an enormous WTF is in order for this year’s WrestleMania. Some brilliant person in the WWE head office decided that last year’s main event was such a massive successes, that we should recreate that “Once in a Lifetime” experience and make it this year’s main event, again. I really would not care if you make it a main event for the next five years, but this is going to be my first “Mania” Live and I am going to see The Rock vs. Cena again, loud scream of disappointment. The second main event match is Triple H vs. Brock Lesnar; I really don’t give two flying fucks on who is going to win this one. Lesnar seems like he is holding back, he looks awkward and out of place in the squared circle, remember his home is the octagon now. He can take out Triple H in under 1 minute and you can see his frustration during those high dramatic scenes leading to this epic show down, oh wait we have seen this match already, not once but twice. I must admit that the only match that I am interested in is the Undertaker vs. CM Punk. There are rumors that The Undertaker will be retiring after this WrestleMania and that he has handpicked the man that will end the streak. I would love for this rumor to be true, but it’s a long shot, the two biggest names of the 90’s couldn’t do it, in four tries. But the man that no one including myself believed would acquire such successes in the sports of giants has the opportunity to set the wrestling world on fire, by gaining victory over the Phenom of the WWE. Here is when I start to bad mouth the WWE, I really don’t believe CM Punk will win this one, because it will take a lot of creativity to come up with an angel after WrestleMania, and I don’t believe the WWE’s “Creative Team”, has that creativity. Can you imagine the mega star that Punk will become after breaking the streak? Punk will be the biggest heel of all time and I don’t believe WWE really wants that to happen, so he has the honor to become The Undertaker’s 21st victim at The Grandest Stage of them All. 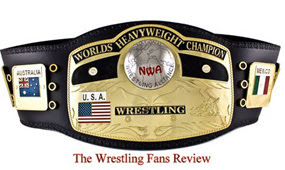 On to the World title match, I am hyped that Del Rio has received his opportunity and that he is holding the best looking Championship Title in WWE, next to the white IC title. I just feel Del Rio is an interim champion, and he will loss at WrestleMania 29. After his DUI arrest a couple of weeks ago it will be a huge surprise to me if Swagger walks out of Mania as the champion. My money is on Ziggler cashing in his Money in the Bank contract and becoming the star I believe he can be. 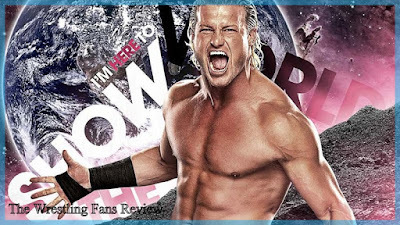 Ziggler has been in the ring with many of the top stars in the WWE and it’s time for him to break away from the pack. Ziggler needs to drop the two morons AJ & Big E Langston, in order to become a credible champion, and hopefully this Championship run will last longer than a SmackDown episode. I am surely going to enjoy WrestleMania, but I had my heart set on some dream matches such as CM Punk vs. Steve Austin, or Brock Lesnar vs. Taker, or Batista vs. Brock Lesnar and maybe Bobby Lashely vs. Brock Lesnar, but sadly we got Cena vs. Rock 2. Until next time, see you on the line.